Sol Bamba's late strike fired Cardiff City to a valuable 2-1 Premier League home win against 10-man Brighton and Hove Albion on Saturday. Neil Warnock's 100th game in charge of the Bluebirds looked set to end in disappointment after a hugely frustrating second half saw struggling Cardiff fail to break down their outnumbered visitors for long periods. Brighton led early through Lewis Dunk's header but were pegged back by a Callum Paterson equaliser and soon had Dale Stephens sent off, leaving Chris Hughton's men to play the final hour a man down. 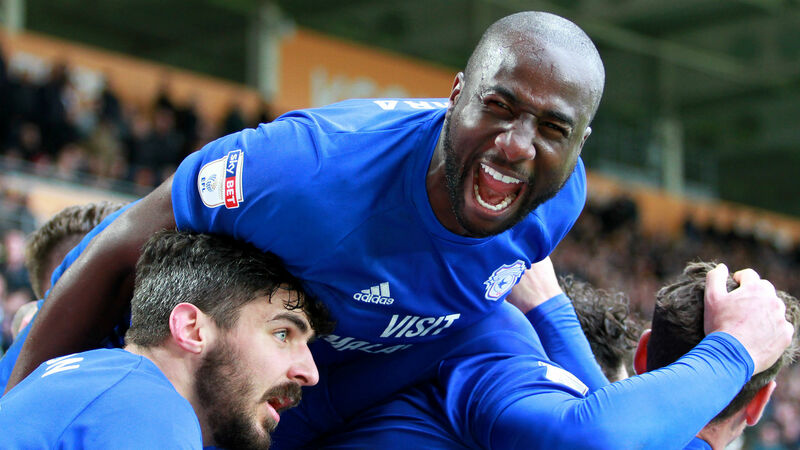 The Seagulls still looked as though they would emerge from the match with a hard-earned point until Bamba - at fault for Dunk's opener - scrambled the ball into the net in the 90th minute for a potentially vital winner, lifting Cardiff out of the relegation zone. Cardiff started on the front foot but paid the price for some lax defending from Brighton's first attack as Dunk was left with time and space to nod Solly March's free-kick into the net. But another header had Cardiff level before the half-hour, the game turning as Paterson profited from a deflected cross that took out two defenders and dropped kindly in front of goal. The visitors were soon down to 10 men when Stephens careered into Greg Cunningham after a loose touch and the Bluebirds assumed complete control of the contest, hitting the bar through Kadeem Harris after the restart. Jose Izquierdo threatened to steal the points on the break as Neil Etheridge made a smart stop, before a frantic finale saw Brighton defending on their own goal line. An initial scramble broke clear but Cardiff attacked again and, when the ball bounced away off the post and Justin Hoilett miscued, Bamba was waiting to smash into the roof of the net.